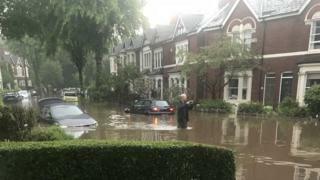 There are "lessons to be learned" after heavy rain caused flash flooding in parts of Birmingham, a report says. Homes in the Selly Oak and Selly Park areas were damaged and cars submerged on 27 May. The city council said it was enhancing emergency arrangements and would set up a partnership to facilitate flood defence measures along the River Cole. Parts of the city saw more than a month's rainfall in an hour on the Sunday during the bank holiday weekend. For some residents the flooding was the third time in less than a decade that their homes had been damaged. Residents reported waist-high water in one street following the rainfall. A report about the issues arising from the floods was discussed by city councillors at a meeting on Tuesday. It said the lack of notification by strategic partners resulted in the authority "not being able to establish the level of coordinated support it would wish". The report highlighted a number of areas for improvement, including boosting its response arrangements and "lowering the triggers to alert the Resilience team". Deputy council leader Brigid Jones said the council would look to achieve a commitment from partners responsible for services relating to flood management and "strengthen, where possible, local planning guidance to better manage flood risk" relating to new developments. The Environment Agency said it understood "the devastating effect" flooding had and would work with the authority and other partners to respond to recommendations in the report. 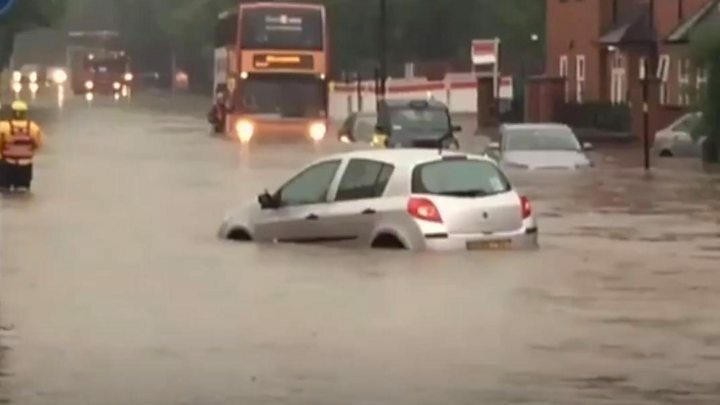 Birmingham flash flooding: Why have homes been damaged again?